Personality: He is calm and collected, but the will of the wolf can often rule or influence him. He is a good person at heart, he believes in fighting for what is right, and protecting those in need. As an Alpha, he strives to right some of the wrongs his kind has commited, and improve relations between were's and humans. As an ex druid he has a deep connection with the earth around him and the wolf inside. He is a very lonely person, having lost his pack to those who despise his kind. His main goal is to stop the age long war between hunters and werewolves, knowing that there are worse threats to deal with. He is a very commanding figure, he dislikes being disobayed by those under him. His alpha status can often influence his meetings with other werewolves. Many other Alpha's might see him as a threat because he's a lone Alpha, though he's never tried to steal a pack, and never will. He ranges from hostile to incredibly protective depending on the person in question. Strangers cause him to act hostile though he will try to repress it, where as around a friend he is protective. He often considers those close to him to be part of his pack, and when someone threatens a member of his pack, he become very hostile and will likely attack. Again, he tries to repress this but it doesn't always work. As an ex druid his desire to protect the world of the living is very strong. 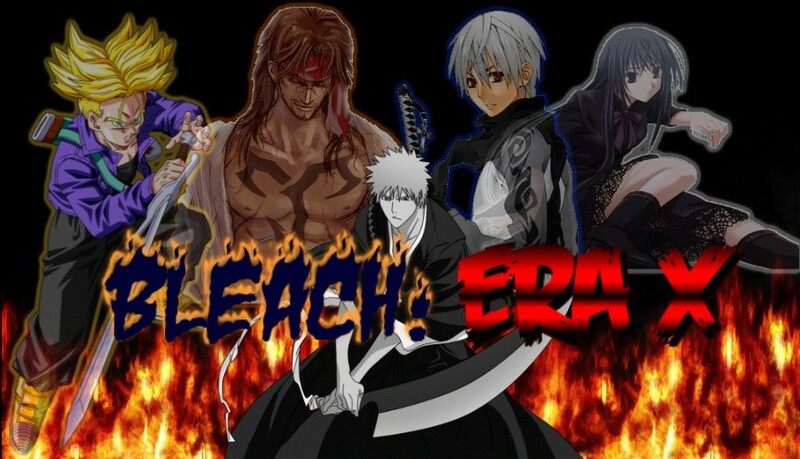 He sees outsiders, shinigami, arrancar, sinners, as major threats to the worlds natural balance. While he will never attack a shinigami or vizard, he is not fond of them. On the other hand he holds no issues with attacking and killing arrancar, hollow or sinners on sight. Bounto, quincy and sigilum dei dont concern him however. If Alistair is severly injured in a fight, even if he wins in the end, he will often take wolf shape and retreat into the wilderness or the closest safe place he can find. 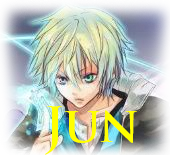 He is more unpredicable in this form and until he's healed may attack anyone who gets to close. As a wolf or in hybrid form he is afraid of fire. He is always wary around silver and doesn't like being near it. Likes: People, nature, helping others. Fears: Silver, fire, loosing freinds. Physical Traits: Alistair is large and heavily muscled. He has a firm jaw and darkly tanned skin. His hair is black, and short but shaggy. He has a short trimmed beard. His eyes are dark grey, but when he is using his Alpha influance, or is angry, or in partial transformation his eyes turn a deep golden color that glow unnaturally. His hands and arms are covered in scars he recieved before he was turned. He has a massive bite mark scar on his right side where he was bitten by the Alpha that turned him. He has a few other scars recieved from swords, arrows and axes spread across his body. Clothing: His clothing changes often, and is sometimes fine suits or rags that barely cover him. The problem with being a werewolf is allot of good clothing gets ruined, so he's not very consiencous about his clothing's appearance. One thing you can count on him having, especially if he's going to fight, is a cloak, which often makes it out unscathe once he transforms. General Fighting Style: Ranges from mid to close range, attacking with a veriety of hand to hand spear, and magic. He fights more tactically the less he uses his wolf side, but when entering partial transformation he starts becoming more iratic, and using his animal instincts. When he enters hybrid form he completely throws aside tactics for the most part. He can no longer use magic so he fights entirely in close range, and often aims to overpower his opponant before they can take advantage of his lack of range. He is a skilled hand to hand combatant, using a mixture of force and speed, along with throws, locks and holds. He is capable of delivering blows form the nine strike points, head elbows, hands, knees and feet, and while he's no martial artist he certainly packs brutality. He is also a skilled spear wielder, but doesn't rely solely on the use of its blade, and will bluggeon, bash and trip with the long weapon. Strength: He is incredibly strong, able to lift massive objects with ease, make craters in the ground with a punch, shoulder through walls and cut through steel with his claws. Speed: He is fast and agile, and is able to control it with expert precision so that he never overshoots his movements and wastes energy. He cannot use blur though. Durability: He has high durability, especially against phsical attacks. 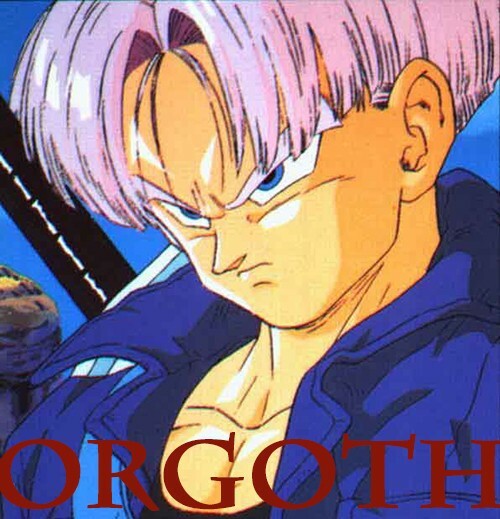 He is capable of withstanding the blast of a cero oscuros in his normal form, though he would be weakened a good deal. Sensing: He cannot sense energy of any kind, and cannot tell how strong someone. Blur: He cannot use blur. Energy: He takes double damage from energy attacks. Fire/lightning: He takes 50% more damage from fire and lightning attacks. Whats more, he is afraid of fire and may act irratically around it, especially in hybrid or wolf form. Silver: Cuts and wounds from silver weapons or bullets stunt the healing in that area of his body. Touching silver burns him. He cannot hold it unless he's wearing gloves. Silver dust is like a poison to him, and will mess his high speed regen up for 2 posts if its introduced into his body. Sight: He has the enhanced sight of a wolf, and is capable of seeing things very far away. Smell: His sense of smell is amazing, and he can pick up and track a scent for miles. Whats more, he can smell the difference between races, though he cannot distinguish bounto, sigilum dei and quincy from humans. He can tell if someone is a werewolf, shifter, vampire or were's of other kinds. He is particulary not fond of sinners who smell foul to him. He can smell the difference between shinigami and vizards, mainly because he picks up the hollow scent off the latter. He can also smell fear, and this can often cause his wolf instincts to flair up. Hearing: He has excellent hearing, though it can act as a double edged sword. He dislikes entering cities because of the noise, but after about an hour in a city he becomes use to the sound and can tune it out. Extremely loud noises effect him worse than they would a normal human. The magic below can be learned by any human without advent powers, but must learn it from him and not just by watching and imitating. It is considered forbidden magic by some spellcasters. It is a secret art known by most Druids, though some have chosen to ignore its existance. Blood magic packs an extra punch over normal magic because it uses the users blood to power it. It can only be the users blood, or the spell fails to cast. Blood magic has its own spells, but if used correctly it can be used to buff the damage of other spells including holy and unholy magic. To use blood magic to buff other spells, the user must understand the basics of blood magic, and be able to summon Carmine. There is no such thing as a spamable blood magic spell. Blood magic spells are not effected by spells or items that shorten the cooldown on other magics. Magic and werewolf: Alistair can still use his blood magic, though he's lost the magic that were part of his druidic verses. He can only use magic in human form, or in partial transformation. This is because the magic takes a good deal of composure to cast, and hands for that matter. In his wolf form he lacks the hands, and in his hybrid form he lacks the composure. When he enter's either form, Carmine is unsummoned. Alistair cannot enter Hybrid form then leave it and use magic in the same thread, but he can leave wolf form to use his magic, or use it before entering hybrid form. Description: The user first forms a magical circle on the ground below themselves, then bites their thumb, so that it bleeds. Dripping the blood onto the seal's center summons forth a long spear known as Carmine. It pops out of the ground handle first, and stays there until the user grabs it and pulls it out. Carmine can only be summoned once by that user until it is destroyed or unsummoned. (multiple versions can exist, but opposing users cannot influnance or use each others carmine, so one cannot unsummon the others.) It is as strong as Zanpakuto steel. The blade is blood red and a foot long, and the 4 foot handle is wooden, though still as strong as Zanpakuto steel. Carmine's spell buff: By adding some of the users blood to Carmine's blade before casting a spell that does not include the spells below, the user increases the damage of that spell by 50%. The cooldown on this buff is half that of the spell used (rounded up) plus 1 post. It does no work on finals of any kind. Once the spell is cast, the blood evaperates from Carmine's blade and more must be applied. Description: The user makes a cut on the palm of their hand with carmine's blade, and a magic circle forms in the air infront of them. The user can move the circle before firing it. When the user touches the magic circle with their bloodied hand, it unleashes a 5 foot wide scarlet colored ball of fire at the target at the power and speed of a gran rey cero. 3 post cooldown. Description: The user makes a cut across the midway point of their fingers, and sticks their hand into the ground. A 10 foot wide magic circle forms within 50 foot of the caster, where every they will it to appear, including under the target, and launches 100 long thick rock spikes upwards into the sky. On the users next post the spikes rain back down on the earth in a 100 foot radius. The second half of the spell can be harmful to the user, though the spikes are not packed together as before. 3 post cooldown. Description: The user must pierce their palm with Carmine's blade, allowing the blood to flow onto the weapon. They must then throw the spear into the sky. When thrown carmine will travel up at the speed of a bala and vanish. Clouds will form quickly. For 2 posts, the user can call down Sanguine colored lightning strikes at the power of a cero. They do this by creating a magic circle within 50 foot of themselves, and can make up to 5 at once. After 2 posts, Carmine will drop from the sky and land next to the caster. 3 post cooldown. Description: The user cuts an x onto the palm of their hand with Carmine, then places their palms together. A magic circle forms between the palms of the users hands. When the user pulls their hands apart a ball of frost forms between them, moments later ice spires will lance forward out of the ball of frost in a random pattern within a cone 30 foot wide by 20 foot long. Whats more, the user can partially redirected the ice spires by moving the ball, but the attack only lasts for a post. 3 post cooldown. Description: The user makes a cut across the top of his nuckles with Carmine, and spins the spear in a circle, making an even ring of blood even if there isn't enough blood to do so. The ring climbs upwards into the sky and forms a magical circle the starts to draw in water from the air. It can gather enough for the attack in a few seconds. It then launches the water in a powerful jet at the target, hitting with the force of a gran rey. 3 post cooldown. Description: He can take the form of a larger than normal dark grey wolf with shaggy fur. This is a somewhat unique ability among werewolves, who often only have hybrid forms. He is much faster in this form than in either human or hybrid form. He cannot speak, but he can communicate with humans through telepathy when in this form only. He cannot use his blood magic in this form. Description: This does not effect other pack leaders, or alpha werewolves, and will not be as effective on werewolves who are part of a pack. His Alpha influance comes from his eyes, and using eye contact he can influance lesser werewolves to relax, back off, fight with him, cower or be more likely to obay other commands. It is not 100% effective on werewolves and depends on the werewolf in question. It is far more effective on loner werewolves and npc werewolves. It works on normal wolves, foxes and dogs too. It can work on werewolves who are part of a different alpha's pack, but is easily ignored especially if their own alpha is around. It works almost all the time on any werewolves in his pack. It does not work on any shifters even if they can take the shape of a dog, wolf or fox. It cannot be used to influance a character to harm them selves. This works in wolf and Hybrid form too. Description: He has high speed regeneration capable of undoing great amounts of damage and restoring torn off limbs in as little as 3 posts. His regeneration is as good in his wolf form as it is in human and hybrid forms. It does not get any better or worse. If he is severely injured he may go unconcious but his body will heal at an increased rate if this is the case. His regeneration regenerates damage to organs including to his brain, however if his brain is completely destroyed or his head cut off he dies. Organ regeneration takes longer, and drains more energy. Description: Alpha healing is a unique ability amoung Pack leaders, though not all of them can do it. Alpha healing allows the pack leader to extend his or her regeneration abilities unto those they touch if they so wish to. If its another werewolf, (or arrancar/someone with high speed regen) it quickens their own regeneration, cutting off 2 or 3 posts of healing. If it is a human or someone without highspeed regen, it gives them high speed regeneration equivilent to the alpha who is using the ability on them, that lasts for as long as contact is made. This drains the Alpha's energy, and even restores a little energy to the person being aided. His Saliva also has healing properties. If he licks or rubs his saliva on a wound that introduced a poison into his or someone elses body, the saliva will nuetralise the poison in one post, activating the poisons grace period much sooner than it normally would be. This also means that he cannot be poisoned by eating or drinking. Description: He can use his blood magic in this form. This ability allows him to grow sharp claws on his fingers and gives him more prominent kanines for biting. His arms from hand to just below the elbow become as strong as Zanpakuto steel, this includes his claws. His strength, speed, stamina and durability double when he is in partial transformation. This is overwriten when he enters hybrid form. Description: This is something that he emits constantly. It is noticable by everyone around him bar other werewolves who will be comepletely uneffected. When entering the area near him, people may feel a sense of dread or fear, they may feel as if they are being watched, but are not sure by who. When people look directly at him they may feel a strong urge to run from him, or look away and avoid his gaze. In combat, people may feel like they are being hunted. Predator aura is stronger in hybrid form and doubles the power of these effects on people. It can cause fear in others, especially npc's but its effects on people vary greatly. As an example, Elayne would probably run away from him, where as Raiden might be entirely unneffected. Equivilent to hyper mode. He becomes a massive 8 feet tall wolf with dark grey fur, as the appearance above. He has a long fluffy tail too. His arms are protected up to the elbow in the same way as in partial transformation. Capable of standing on his back legs or running on all fours, he is unnervingly fast and strong, able to barrel through stone walls without trying. He cannot use his magic in this form. Description: Though he may seem like a furiously mindless killing machine, he is still mostly in control of himself. While his instincts have shifted to more wolf like in nature, he can still discern freind from foe and knows when he's walking into a trap. He is capable of thinking coherently, and if he has a pack with him, is able to give stragetic commands through body language, growls and howls that other werewolves would understand. He is also capable of speech though it is may be difficult to understand. Description: Alistair's speed is momentarily doubled as he rushes the target from up to 50 feet, and attacks with a single powerful lunge/swipe/punch or a direct body slam that contains the force of a gran rey behind the blow. 3 post cooldown. Description: Alistair unleashes a spine tingling howl that is loud enough to hurt the ears of those around him and leave them feeling dizzy for 1 post, along with scare the hell out of them. Obviously its effectiveness is similar to Predator Aura, but works on other werewolves too. 2 post cooldown. Boosts: x4 to strength, speed, stamina, and Durability. Background: Alistair Duine was born in Ireland during the celtic age. As a son of a Druid Alistair's life was meant to lead towards the path of the caretaker, a mystical being who's job was to defend the earth and nature and keep the balance. Alistair was content with his lot in life, he respected his father greatly and was eager to follow his path. As he aged he showed great potential. His abilities ranged from communicating with animals and healing, to using fire to defend against that which they did not understand, the evil spirits that came to eat human souls. He grew quickly in power and by age 25 he was a full fledged druid with access to the mystical druidic verses and an immortal body. His power suduced him however, and he began to lust for more. He delved deeper into the past of the druids, and discovered blood magic. Its potency gave him a real edge when it came to maintaining balance, but it attracted the wrong attention. Sorcerers from across the sea heard of his abilities and claimed it forbidden, yet it was a druid art. This started a secret war between the mages and druids, who knew much of magic but little of each other. Alistair eventually ended the conflict by defeating the enemy leader, but he chose not to kill the man. He seen his mistake, and asked for forgiveness. After that he left Ireland to travel north and east. Alistair found himself in scandenavia, a harsh yet beautiful land. He stayed there for a while, though he did not communicate much with the people. He became a living myth to the locals, known of but never seen. Alistair encountered strange happenings during his time here, and discovered the existance of werewolves as they attacked a village one night. The creatures seemed unnatural to him, a man who shifted into a wolf surely went against the balance of nature. So Alistair faught them off, but was bitten by the pack's alpha. His magic would not heal the wound, and while his body was immortal, he could still die from injuries. He was sure this was the end for him, however he was wrong. The bite took, and he was turned into a werewolf upon the coming of the next full moon. Alistair lost all of his druidic powers bar his ageless body and the blood magic. He gained so much more from the bite, though the first few months it almost drove him insane. The alpha who had bitten him came to him once he'd turned, and asked him to join his pack. Alistair almost refused, but seen the oppertunity as a learning experience. He agreed. The pack was accepting of him despite him having killed a couple of their lower members. However the Alpha missed something in Alistair, the spark of power that distinguished Alpha from beta. This soon caused trouble, as Alistair refused to attack and kill humans. He tried to convince his alpha there was a different way to go about this, but the werewolf was stubborn. They faught, Alistair won. The alpha demanded his pack kill Alistair, which tore a rift between them. Most sided with the old Alpha, but some chose Alistair. Alistair used his magic to scare off the Other alpha and his pack, and lead his wolves away from there. The new pack, which numbered seven including himself searched for a new home, knowing that as long as they stayed there they would be hunted. Alistair took them across the sea to greenland, and then farther, to the lands of america. They traveled up into the cold mountains of canada where they lived peacefully for the next few years. By this time human technology had made a major advancement and the lands were soon filling up with humans. It made life difficult for the pack, even in this remote area. But with humans came hunters, and hunters brought death. Over the next 50 years Alistairs pack, which had grown in number considerably between births and turnings, was now being widdled down again. The pack was finally dispanded when his mate was killed and Alistair lost the plot. He went on a rampage that seen many innocent and guilty humans dead. Afterwards Alistair fled into america and took up refuge in the mountains. Over the next few hundred years things slowed down for him. He did not turn anymore wolves. He hunted only hunters, and likewise werewolves who had lost their way. He took up the self appointed role of mediator and punisher. When a werewolf was killed, he hunted down the killer. 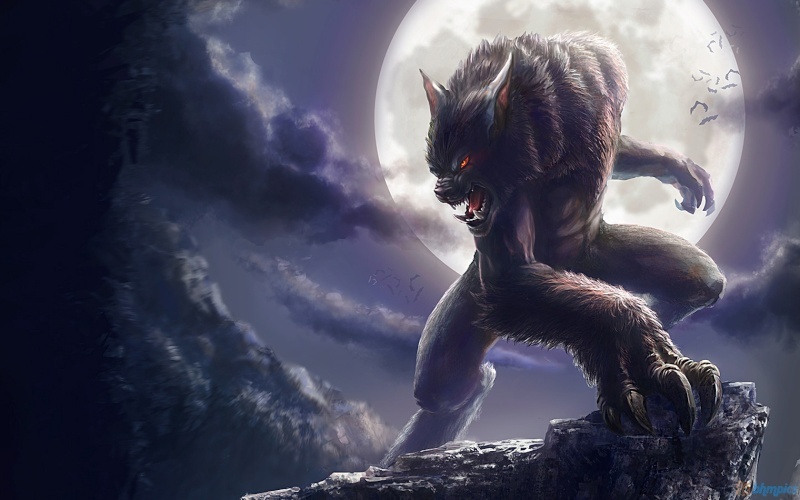 Like wise when werewolves comitted crimes he hunted down the pack and dispanded it, usually by taking out the alphas. Life seemed to gain some semblance of balance once his actions had spread. Hunters started to stop what they were doing, and even other werewolves grew wary of his name. Alistair eventually settled down and tried to have a family. He lived happily for a few years, until his wife died. Then he vanished when his children became adults, and watched them age and die. The gift of immortality weighed heavily on him, and he started to receed into himself. He ran no longer with humans, and rarely entered his human form. He lived with a pack of wolves, normal mortal wolves, and watched as the world changed for better or worse. 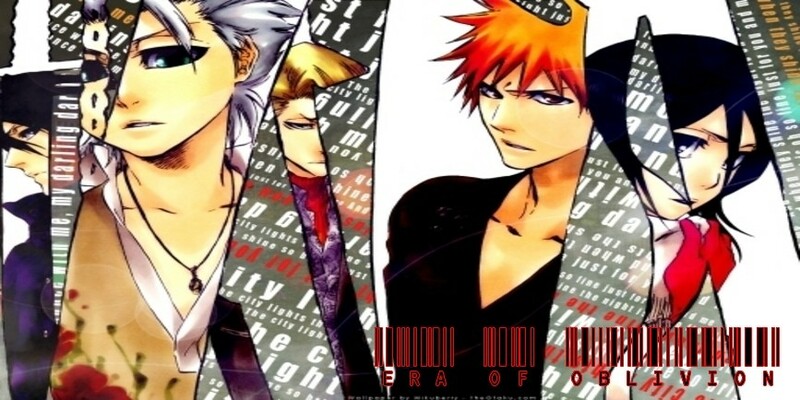 Even as it entered the new era of life, when shinigami and hollow were well known to humans, Alistair stayed in the background. But when chicago was destroyed by powerful holy magic Alistair sensed that the world needed him once again. He made his way to new york, where he intended on presenting himself to the human pack leader Kai Allard Liao, so that he can request to join his cause. How long is the dizzyness on the howl last? 1 post for the dizziness. Added it in. I get where your coming from, so I have reworded them so it doesn't sound so absolute. Thanks for your understanding and cooperation. Approved then.